Interested in giving the gift of organizing to someone you care about? 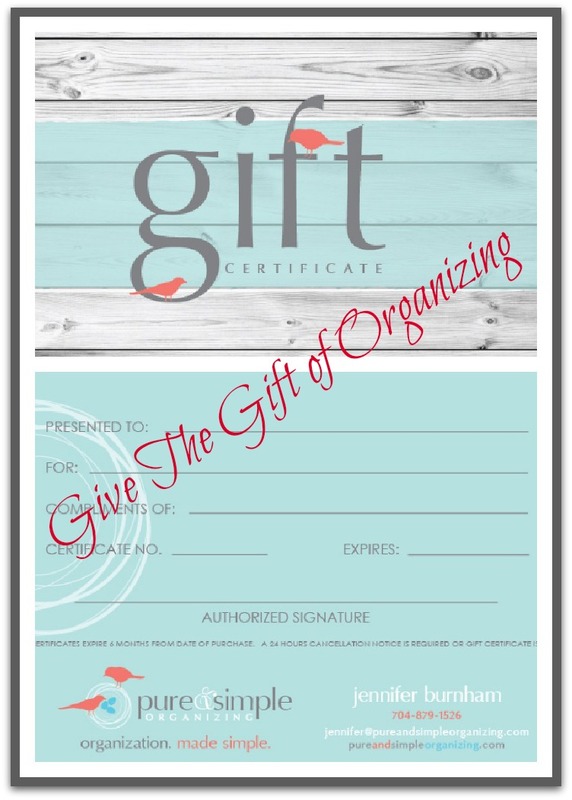 I recommend purchasing a Pure & Simple Organizing gift certificate. Gift certificates can be purchased in $50 increments, mailed to you or the recipient. We look forward to jump starting the process!